I had the chance to sit down with Dr. Frank Cetta, a pediatric cardiologist here at Mayo Clinic. 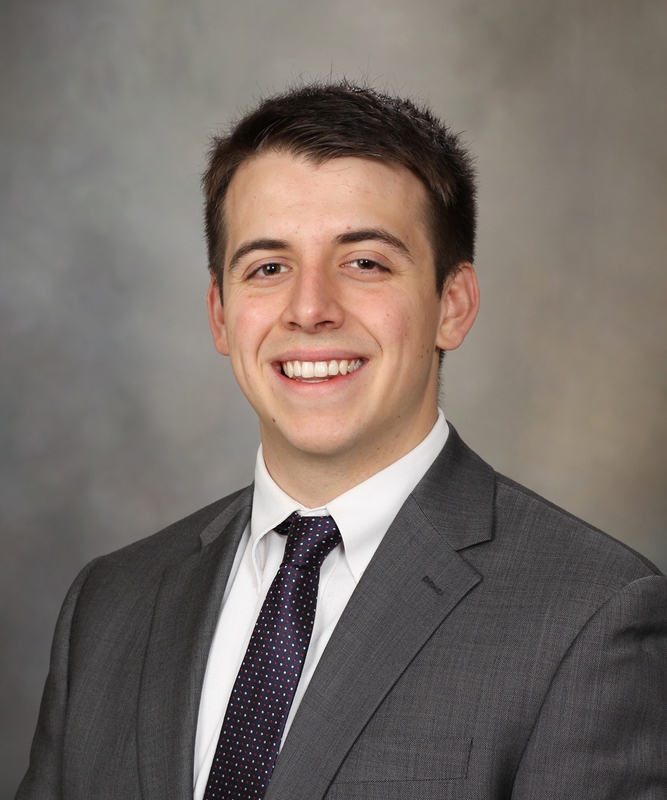 He has been working at Mayo Clinic since 2003 and specializes in congenital heart disease. We discussed some of the history of congenital heart surgery and how we got to where we are today. This is the first post in a series of interviews with Dr. Cetta. Stephen: We often talk about the “advent of modern surgical techniques” that have allowed hypoplastic left heart syndrome (HLHS) patients to thrive today. Could you tell me a bit about how we got here? Frank: Sure. 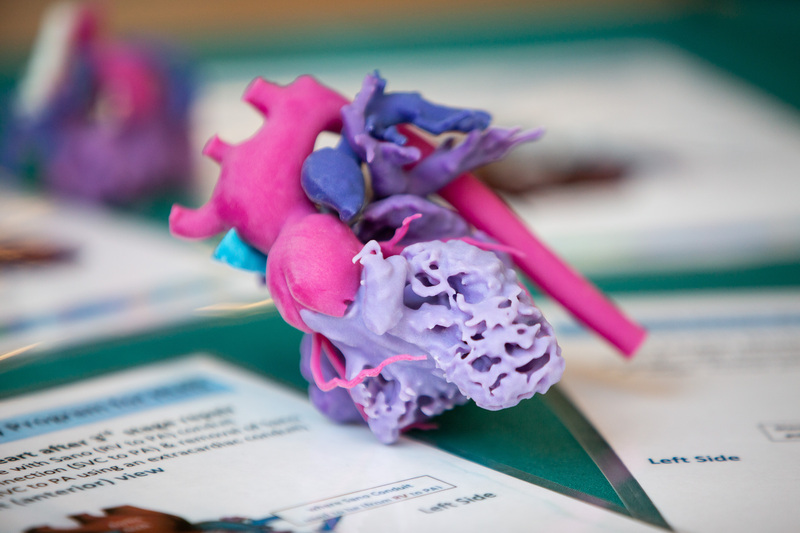 We have been able to manage progressively more complex congenital heart disease starting from about the early 1940s. The first major breakthrough we saw was in a patient with a different form of congenital heart disease in 1944 with the Blalock-Thomas-Taussig (BTT) shunt. This shunt helped increase blood flow to the lungs. There is actually an HBO movie, titled Something the Lord Made, on the monumental contribution to this technique of an African American laboratory technician named Vivien Thomas who has only recently begun to receive credit for his work. These days we still do some BTT shunts with some minor variations within the first HLHS staged surgery, the Norwood Procedure. Then Dr. William Glenn in 1958 described his classic Glenn surgery – an early variation of the second staged single ventricle surgery. This first procedure was later improved upon by Dr. Azzolina in 1973 and became the Bidirectional Glenn procedure that we still use today. And lastly the Fontan procedure was developed by Dr. Francois Marie Fontan in 1971 with some further improvements to the procedure in the 80s and 90s. Stephen: Why do we do these procedures? Frank: A typical human heart has 4 chambers – a left and right atrium and a left and right ventricle. The atria act as holding chambers for blood, while the two ventricles pump blood – the left pumps blood to the body, and the right pumps blood to the lungs. Since the left ventricle in a 4 chambered heart pumps blood out to the body, and the left ventricle is non-functioning in those with HLHS, we need a way to pump blood to the body. The Norwood procedure enables a single ventricle pump system to accomplish this by rerouting some of the blood from the right ventricle to the body. Now imagine all of the extra blood that the single ventricle must pump. This extra blood can cause something called “Volume Overload”, which we want to avoid. This is one of the main reasons we do the second and third surgeries – to reroute half of that blood to the lungs. Stephen: You mentioned that a typical heart pumps blood into the lungs. In a single ventricle heart, there is no pump for blood to the lungs. How does this work? Frank: Because of the anatomical changes to the heart made by these surgeries, breathing actually helps a lot with this. When we take a breath in, the pressure in our head, neck, and abdomen is higher than in our chest. This is called “negative intrathoracic pressure”. This negative pressure pulls blood from your body into your chest. Stephen: With all of the recent advances in surgical techniques, have outlooks improved for patients with HLHS? Frank: Yes – in a big way. Our numbers have shown considerably higher rates of success for those who have had their surgeries in more recent times. To find out more on this topic, check out Dr. Cetta’s paper on a review of over 1000 Fontan patients at the following link: http://www.onlinejacc.org/content/66/15/1700.abstract. My name is Gabrielle Wanek and I’m an intern here at Mayo’s Todd and Karen Wanek Program for Hypoplastic Left Heart Syndrome. I had the opportunity to interview Dr. Tim Nelson, the director of the HLHS program. Gabrielle: Can you tell me what research is currently taking place? Tim: That’s a big question. Where do I start? We are most excited about the clinical trials that are going on that are engaging families and individuals with HLHS. These are the first clinical trials where we deliver an individual’s own stem cells into the heart muscle during surgery and other procedures. That research is probably the most exciting thing that we are doing today. Over 25 patients have been involved in these trials across three different studies. Gabrielle: Can you tell me a bit more about the clinical trials? Tim: The first clinical trial we started uses the patient’s own umbilical cord blood. The patient must be diagnosed with HLHS in utero. We collect and process the cord blood and then when the child has their second surgery, we deliver it into the heart muscle during the surgery. We have learned a lot in our first ten patients and are hoping to soon move into a second phase of the clinical trial, which will include more patients. Gabrielle: How do you see this as being the future of regenerative medicine? Tim: The future of congenital heart disease and regenerative medicine are intimately related to one another. They are younger patients, they have specific needs and the stem cells are able to directly address those needs of patients with congenital heart disease. The future of this is really bright and there is a worldwide effort right now to really work aggressively to master this technology and translate it into real world clinical applications. There are many people living today that are going to see the direct benefit of this technology in their lifetime. It’s very exciting and it’s only possible because we have such a dedicated, focused large group of people that are working on one specific problem. That’s where the magic happens. Gabrielle: What is the most important thing HLHS families should know about the program? Tim: That’s a great question. I would say that the most important thing is that the science and technology that we are working on today is specifically meant to have a massive impact on families living today. This is not a science project that will hopefully one day lead to new knowledge. This is specifically engineered with the purpose and intent that this technology can and should make a difference in the lives of patients that are dealing with these problems today. Gabrielle: What’s your day to day like? 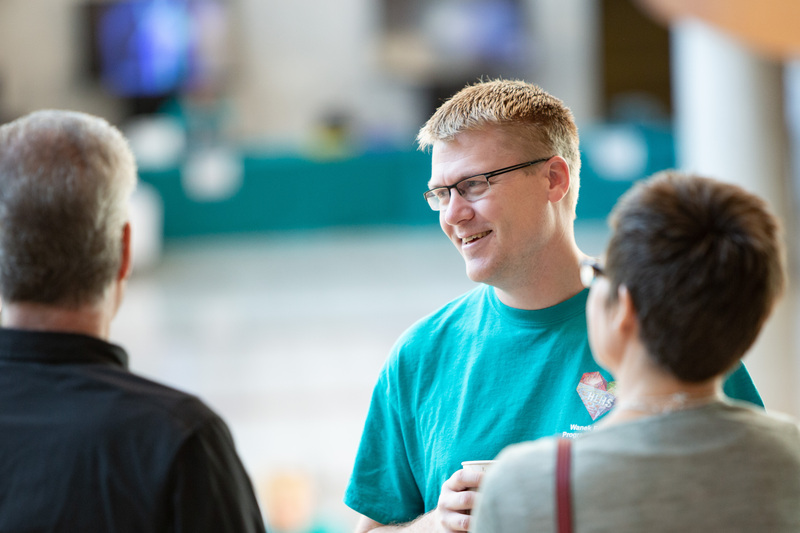 Tim: My day to day is helping manage and build a cross-functional team of people. We have a team of 60 people strong that go from physicians to surgeons to nursing staff, scientists, engineers and technicians in the lab. My primary job is to synchronize the professional activities of these individuals so we are all working for a common purpose and goal. That may sound trivial, but in academic research that does clinical practice to be able to get everybody to focus on a single problem is what dominates my energy on a day to day basis. Gabrielle: Why was Feel the Beat created? Tim: Feel the Beat is the best event of the year. It was inspired by a few of us in the program that were interacting with families, specifically children with HLHS, and it was so inspiring to us it became a reality check. We realized many people in our program t don’t even know a family or patient with HLHS because of how rare the disease is. This was also an opportunity for families to get a behind the scenes tour of the science and technology that we work on and for families to connect with others. What happened was quite magical. The team now all had a face and a name of a patient or child with HLHS. They had an exact reason and purpose for doing what they do. Gabrielle: What’s it like working with the Wanek Family? Tim: I can honestly say this without any hesitation. Working with the Wanek family, specifically Todd and Karen, has been the most challenging, rewarding, and fulfilling job that I’ve ever had. The reason for that is because the Wanek family has the vision of growing and becoming the best at whatever they do. When you add that mindset to what we do in health care you have something really unique. You have the ability to grow and to do far better than what we think is possible today. How do you go beyond limitations of what we do today? 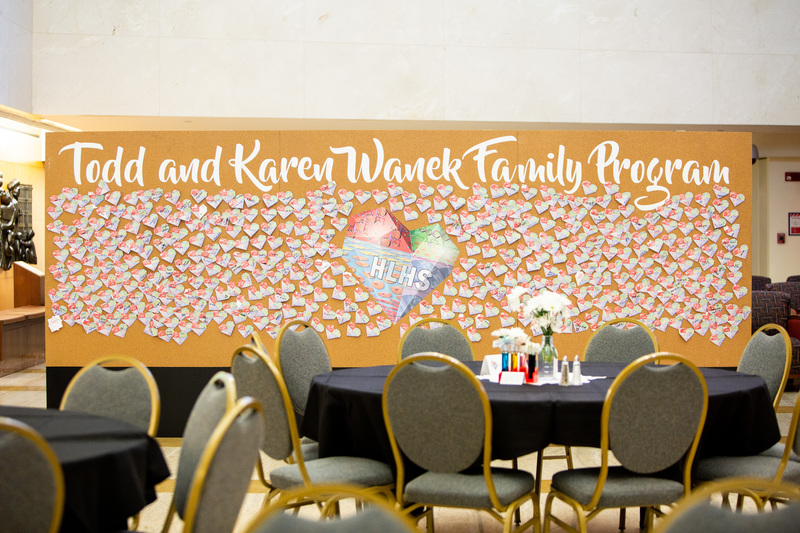 It has really been the inspiration and vision that the Wanek family has brought to us at Mayo Clinic and to us in the HLHS consortium across the country. I truly don’t think that was possible without this direct and specific leadership and mentorship of the Wanek family. Please note that we are no longer enrolling patients for our bone marrow study. Mark your calendars for the seventh annual Feel the Beat event on October 12 in Rochester, Minnesota! 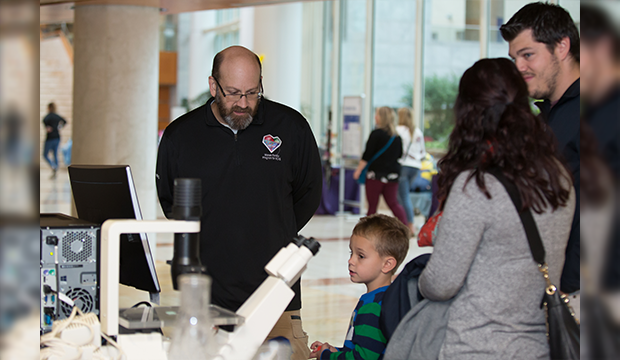 Feel the Beat is a great way to meet other families in the congenital heart defect world as well as connect with doctors and researchers working on the latest advancements in hypoplastic left heart syndrome (HLHS). 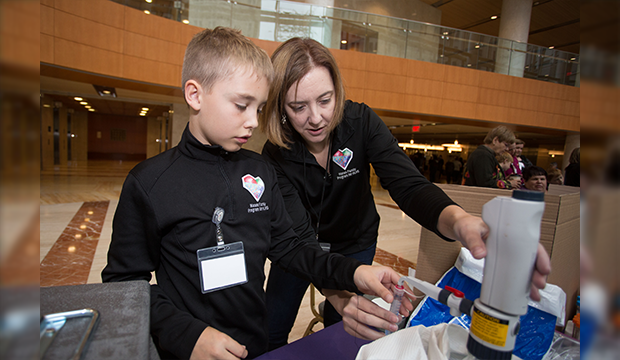 It’s a one-day family-friendly event highlighting guest speakers, the ongoing research and how the congenital heart disease community is stronger by all of us working together. The official schedule will be posted closer to the event date but feel free to send an email to HLHS@mayo.edu if you have any questions. We’ll start with the human leukocyte antigen – HLA. It is a protein that resides on all cells and helps our immune system distinguish our own cells from foreign cells. When you have cells in your body that match your HLA type, your immune system recognizes it as self. When you have cells that do not match your HLA type, it potentially sets off a cascade of reactions to rid your body of the non-self cell. Brooks: The most common way is through blood transfusions. Those who have had multiple blood transfusions are at a higher risk to develop some anti-HLA antibodies. This is called “allosensitization” – developing antibodies to non-self. My name is Gabrielle Wanek and I’m an intern here at Mayo’s Todd and Karen Wanek Program for Hypoplastic Left Heart Syndrome. I had the opportunity to interview Dr. Frank Secreto, one of the team members within the research program. Gabrielle: Thanks for taking the time to chat with me! I’m going to ask a few basic questions to start. How long have you been in the program and what are you studying? Frank: I have been here for over five years and I study induced pluripotent stem cells (iPSC). Gabrielle: Can you give us the definition of induced pluripotent stem cells. Where do you get those? Frank: Induced pluripotent stem cells are cells that have been changed to become something that they wouldn’t normally be. These are stem cells that have the ability to produce, theoretically, any cell in the body. We are interested in having these cells turn into cardiomyocytes which are heart muscle cells. In our case, we start with a fibroblast cell – a cell that comes from one of your layers of skin. Using a process developed in Japan by the Yamanaka lab, we change these fibroblast cells into stem cells. From there, we push them into the type of cell we want – a cardiomyocyte. Gabrielle: Cardiomyocytes…are those are cells that are for the heart or in the heart? Frank: When I say cardiomyocyte, I mean a mature heart muscle cell – it is a cell that beats just like your heart does. We have gotten pretty good at changing IPS cells into cardiomyocytes with recent technological advances. My first task in this lab was to come up with a test to assess the quality of the IPS cells. That is what we worked on for the first three years in the lab. For the last two years, we have focused on product development for the cardiomyocytes that we are making from the iPSC. Our goal is to initiate a third clinical trial for the program. Right now we have two clinical trials: a cord blood clinical trial and the bone marrow stromal cell clinical trial. The cord blood trial is only open to people who had their cord blood collected when they were babies, while the bone marrow trial is open to more people. Older people can be a candidate for that because they could be a bone marrow donor. Neither of these clinical trials involves cells that can become cardiomyocytes. 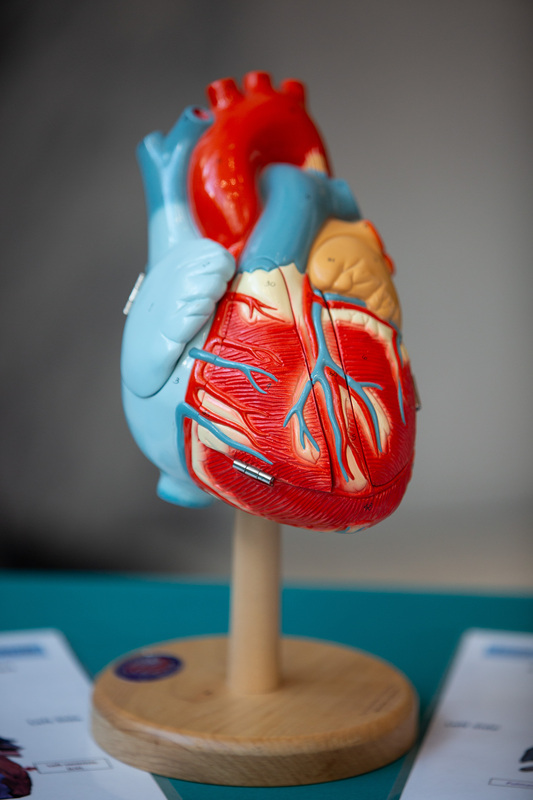 Instead, the cord blood and the bone marrow potentially could facilitate your own heart’s regenerative capacity or your heart’s ability to heal itself. We can do a lot with cardiomyocytes. They beat and we can speed them up or slow them down. If we get this third clinical trial, we could theoretically take the cardiomyocytes that we produce from the IPS cells, put them into the heart and have them participate in strengthening the heart itself, specifically the right ventricle, which is the part of the heart doing all the work in people with HLHS. Gabrielle: So these cells would be autologous? Frank: To start, autologous means that the cardiomyocytes are made from the patient’s own cells. This is in contrast to allogeneic, which means that they were made from someone other than the patient. For HLHS patients, we would use autologous cardiomyocytes. There are only two IPS trials going on right now and they both are in Japan. Gabrielle: What does this mean for the future for patients with HLHS? Frank: At this point, we don’t have enough data to tell you specifically what kind of impact this will have on HLHS patients. I can say that we are going to learn a lot in the next year and I can tell you for sure that we have two clinical trials going on that are impacting patients with HLHS. We have a third one that we are going to learn a lot from and we have a lot of hope it will be as impactful as our first two clinical trials. My name is Gabrielle Wanek and I’m an intern here at Mayo’s Todd and Karen Wanek Program for Hypoplastic Left Heart Syndrome. I had the opportunity to interview Susana Cantero Peral, the umbilical cord blood expert in the program to learn more about the work being done here. Gabrielle: How long have you been in the program? Susana: I’ve been with the program since 2011. The program had just started so it has been seven years already. Gabrielle: What exactly do you study? Susana: I focus on umbilical cord blood. I study how to process and store cells for future use and the cord blood’s composition. For example, I study what types of cells we have, which types of cells that we can use for our program, and the mechanisms of these cells. I explore why certain cells can be used for our clinical trials and look to better understand their biological activity. Gabrielle: How do you collect the cord blood? Susana: This is actually a very straight forward process. When the baby is born, and the baby is with mom, we clamp the umbilical cord and cut it. We then collect the cord blood while the placenta is still in utero. We sterilize the surface of the cord tissue, find the vein and we stick it with a needle that is attached to a bag. We are able to collect whatever is in the vein that way. Other people collect the cord blood while the placenta is no longer in utero. Gabrielle: What do you do with the cord blood and how do you store it? Susana: Once we collect the cord blood, we process it. Processing means separating the cells that we want for the trial and getting rid of the cells that we don’t need. Cord blood is composed of red cells, white cells, platelets and plasma. Those are the main components of the blood. We want to keep those monocytes and lymphocytes because we know that the stem cells are in that population. We don’t need root cells, platelets and we don’t need granulocytes. Once the cells are processed then we store them in nitrogen for further use. You freeze them and you can keep them like that for years. When you thaw them you can use them anytime. So we purify the blood and keep the cells that are important for the clinical trial. Gabrielle: What about if you collect cord blood from somewhere else. Can you use that? Susana: Unfortunately, because of the way that we process the cord blood, it has to be collected through our program. We also store our differently in small vials, because we keep the cells in a specific concentration for our clinical trials. For anyone interested in learning more about umbilical cord blood collection, email the program at HLHS@mayo.edu. My name is Gabrielle Wanek and I’m an intern here at Mayo Clinic’s Todd and Karen Wanek Program for Hypoplastic Left Heart Syndrome. I had the opportunity to interview Jeanne Theis, one of the team members within the research program, to learn more about the work being done here. Gabrielle: Thanks for taking the time to chat with me! So, Jeanne, can you please explain what you do? Jeanne: I study the DNA that comes from humans. I’ve been studying the genetics of cardiovascular disease for the last fifteen years or so. I’ve studied the genetics of cardiomyopathy, different arrhythmias, and even spontaneous coronary artery dissection but right now I am 100% dedicated to studying HLHS. I’ve been working with Dr. Tim Olson for the last ten years. 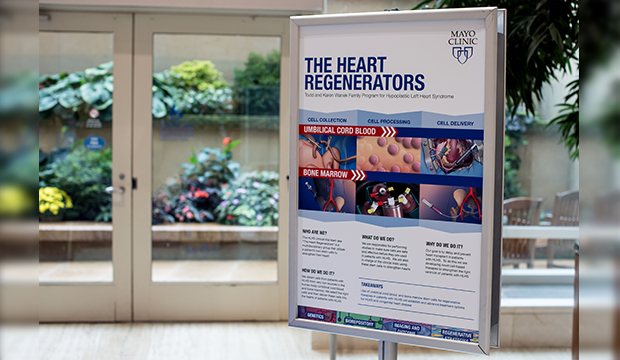 Dr. Olson is the director of the Cardiovascular Genetics lab here at Mayo Clinic. Gabrielle: What exactly are you looking for in the DNA? Jeanne: There are three billion letters that make up our DNA sequence. Within those three billion letters, there are about three million that are unique to each person. Those three million are variations that determine hair color, eye color, skin color, height, etc. Half of those come from mom, half come from dad and each individual has some changes that are unique to them. We are interested in looking at all of these changes to identify those that are associated with HLHS. We have a family centric approach, because we also sequence mom and dad to see how the genes are passed along. We look at those changes and we start to explore how common they are and whether there could be a link to HLHS. Gabrielle: How long does it take to sequence DNA from the participants? Jeanne: Overall it takes a couple weeks to sequence the DNA fully. The first thing that we do when we get a blood or saliva sample is extract the DNA and ensure we have enough available for genetic sequencing. If we have the right amount, it is then put on the sequencer and the DNA sits on it for a week where it’s constantly having data collected. Gabrielle: What do you enjoy most about your job? Jeanne: I love the people who I work with, not just those who work in our genetics core but with everyone in the program. Our dynamic team is made up of a group of brilliant people which includes physicians, geneticists, stem cell biologists, bioinformaticians and many additional areas of expertise. What’s refreshing to me is that it’s a very collaborative environment. Here in this program, it’s nice knowing that you can be vulnerable, admitting something that you just don’t know. It’s just being in the midst of amazing people and being able to interact with each other without much tension. My second favorite thing about this job is teaching. I’ve been really lucky within the program to be able to teach not only at lab meetings, but also giving genetics 101 talks to people that want to understand more. I had a young girl come up to me after one of these talks and say that she understood everything that I said which was a gratifying moment for me. I feel really lucky that I have those opportunities. Gabrielle: What do we know about the genetics of HLHS? Jeanne: In a nutshell, there is no single common gene. With HLHS there’s no single change that’s going to be accountable. I think there are multiple changes that come together to cause it. We have sequenced the entire genome for over 150 participants with HLHS to help us further our understanding of key genetic changes related to HLHS. It’s very complicated, but we are getting a lot smarter. We have a lot of data that needs to be looked at and tested with the fruit flies, and we continue to learn more with each additional sequence. For anyone interested in learning more about HLHS and the genetics research, email our program at HLHS@mayo.edu. Hi Michelle – we will be sharing photos from the event, but it will take a few weeks to a month to get them out.